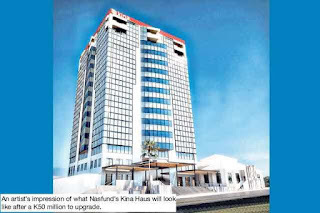 THE National Superannuation Fund (Nasfund) has named the tallest building in Port Moresby Kina Haus. Chief executive Ian Tarutia said: “It’s really a way for us to make this flagship building a statement of the quality facilities we can offer tenants here in Port Moresby. Kina Haus is wholly-owned by Nasfund and has been owned by the fund since it was built in 1998. “The restyling and painting of the building will modernise its look and feel. 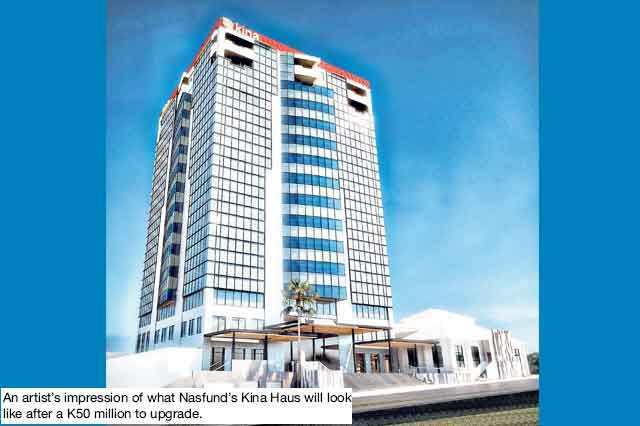 “Kina signage will feature prominently on the 18 level building following a K50 million refurbishment that Nasfund is undertaking to bring the building up to global standards,” Tarutia said. Chetan Chopra, Kina Securities’ acting chief executive, said: “For some time now Kina has been looking for a fresh new building in a prominent site to reflect our growing position as PNG’s newest and most exciting finance organisation.